They’ve found another use for these things! How trombone vacancies were filled in the old days! This entry was posted in The Brass Section and tagged duelling trombones, Musical cartoon, musical humour, musical joke, Trombone humour. Bookmark the permalink. 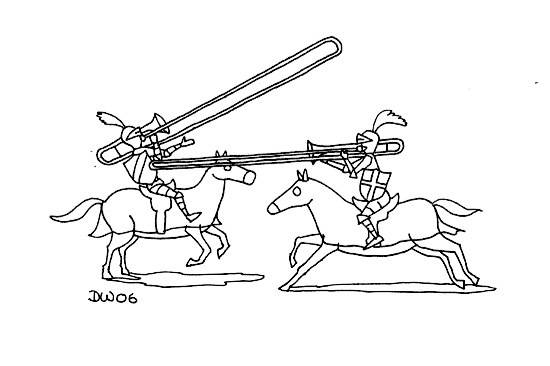 1 Response to Duelling Trombones!